Off the beaten track, nestled in the heart of the beautiful Welsh Wildlife Centre & Teifi Marshes Nature Reserve in North Pembrokeshire, visitors both human and canine will find a recently refurbished getaway called Oak Tree Cottage – or the ‘Cwtch’ as it’s known to the locals. 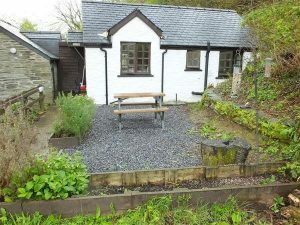 A self-catering holiday cottage that’s perfect for those wanting to relax in comfort whilst surrounded by our amazing Welsh wildlife, and surprisingly, despite the vast and changeable spectrum of creatures that inhabit the beautiful Teifi Marshes, the reserve remains infinitely accessible to dog owners. The cottage itself is small and perfectly formed, and perfect for a small family or a couple, and is the ideal holiday retreat for those who are looking to disconnect from the rush of the world, and get back to nature. There are no distractions to be had at Oak Tree Cottage. Itself set in the immediate compounds of the impressive Welsh Wildlife Centre, once the park is closed to visitors, the inhabitants of the cottage are given unique and unfettered access to the entire reserve and all it has to offer. Watch otters at dawn, badgers and deer at dusk, kingfishers on the river and a wealth of flora and fauna during the daytime. Lulled to sleep by nature on the edge of a wood, in the heart of the nature reserve, you will have it all to yourself once the visitors have gone home. And with all of this fantastic, natural resource as your playground, comes winding walks through paths and walkways that your dog will love as much as you will. 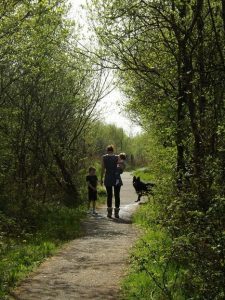 The Cilgerran site is part of the Wildlife Trust of South and West Wales, a regional section of the UK’s overall Wildlife Trust network, and a large part of the South and West Wales Trust’s ongoing commitment is to encourage a ‘dogs permitted’ policy. Whilst the Trust encourages diligence in order to help minimise distress and disturbance to local wildlife, it is quintessentially a welcome hub in North Pembrokeshire for families and visitors who want to take their dogs with them to this unique and captivating space. The cottage is run and managed by on-site volunteers and trustees, and bookings at Oak Tree are handled by FBM Holidays, a well-known local holiday letting agency. A welcome hamper is provided with each booking, as are fresh brown eggs from the hens that live next to the cottage when available.